If you’re trying to improve your ability to defend yourself, you might be looking for Self Defense Classes Katy TX options in your area. Are you currently unhappy with your ability to protect you and your loved ones against potential attackers, and you’d like to improve? If you’re ready to push yourself both mentally and physically, the pros here at Tiger-Rock Martial Arts can help. Read more to find out how our instructors equip you with the skills, techniques, and discipline you need to succeed. We’re ready to prepare you for real-life scenarios. Depending on your lifestyle, you might feel like this is a class that you need to be in. Are you currently working late nights and you have to walk home? Perhaps your night classes are beginning to weigh you down, and you’re incredibly tired when you walk back to your apartment at night. If you’re beginning to feel like you’re not properly ready to defend yourself if an attacker approaches you, we can help. There are many benefits to enrolling in a self-defense class. If you’re currently unhappy with your physical capabilities, getting in one of our programs will change this over time. Our sessions promote lower and upper body strength. You will also definitely see an increase in your cardiovascular health. Many of our students enter the class with a low amount of endurance. However, over time, your stamina will increase, and you’ll be able to spar for long periods of time. We have a group of certified instructors who have decades of experience working with students from all walks of life. In our dojos, we teach a traditional style of Korean Taekwondo. This form of martial arts will push you both mentally and physically, and you will benefit from practicing it on a regular basis. Our flexible classes are perfect for providing you with the time slots you need. If you’ve got a lot on your plate and you feel like you might not be able to attend regularly, we make it easy for you. Our classes are available for both men and women over the age of fourteen. These courses and class periods can be very intense, and we want students to know that they will be pushed. Our goal is to properly prepare you for real-life assailants and attackers. Expect hands-on training and demonstrations that will help you understand exactly what you might experience in a real-life scenario. We want our students to be able to defend themselves, and it’s impossible to know when you might need this skill. With our training, you can be confident in your ability to protect yourself at all costs. In addition to our Self Defense Classes Katy TX, we also host traditional class periods for people who want to practice karate. If you’re ready to find a fun way to exercise while also bettering your confidence and self-esteem, this is a great way to do so. Putting yourself in a program that requires hard work is something that’s incredibly valuable for your life. Trying to make sure you have all the right resources you need to begin your transformation? Visit our dojo. Tiger-Rock has been around since 1983. 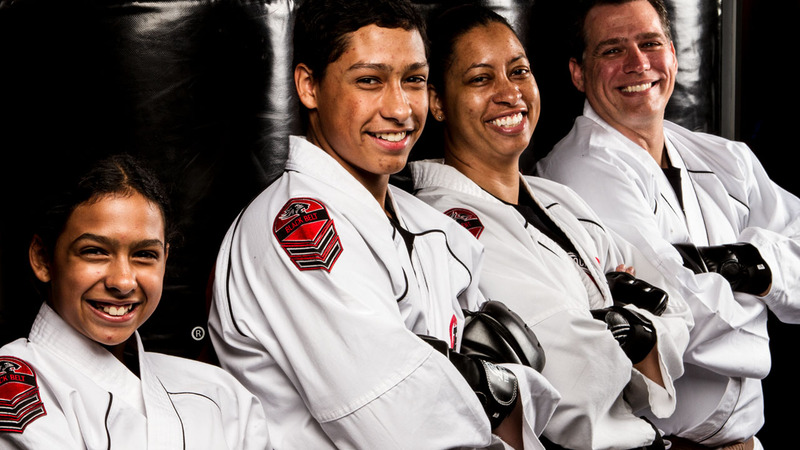 Ever since then, we have grown into the largest and most successful martial arts franchises in all of America. We have over a hundred locations and thousands of committed and certified instructors. We believe in helping our students improve themselves not only physically, but mentally as well. If you’re trying to improve your state of mind but you don’t know how this is a great first step. We understand that a lot of people might have reservations before signing up for one of our classes, and that’s okay. We have an introductory bundle that allows you to get a taste of what we do here without making a long-term commitment. Attend three classes and afterward, receive a performance evaluation by one of our certified instructors. This will help you understand exactly where you’re at in your training and where you need to go. It also gives us an idea of what you want to accomplish so we can help you figure out whether or not this is the right dojo for you. 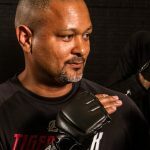 Call Tiger-Rock For The Best Martial Arts Training in Katy! Our instructors have worked with children and adults from all different types of backgrounds. In addition to our adult and teen programs, we also have specific classes for children who are as young as four years old! We believe that it’s never too early to expose a child to martial arts. Numerous studies show that the sooner you get them involved, the more successful and tranquil they will be as adults. You definitely want your child to understand what it takes to be confident, disciplined, and motivated. Enrolling them in a martial arts program is a great way to instill some important values. While it is far from mandatory, we also suggest that our students participate in the national tournaments we have. This is a great way for you to pair up with a sparring partner who’s had similar training and experiences as you. Not only will you be able to see where you measure up, but it’s also a great way for you to sharpen your skills. Healthy competition is a great aspect of Tiger-Rock, and we hope to continue it in the future. Making sure you have the right Self Defense Classes Katy TX is something that cannot be emphasized too much. If you’re going through some difficulties and you don’t know how to deal with them, count on our professionals to pull you through. We’re ready to provide you with more details on our courses and information on how you can start your transformation. Our instructors are ready to help you get much better at protecting yourself. Visit our dojo to learn more! Did you know that Sacramento Kings point guard De’Aaron Fox is from Katy? Our city was called Cane Island for a while, but we were renamed after the inception of the MKT Railroad in 1896. Cotton and corn used to be two of the biggest money makers for our city back in the 20th century.